Daylilies thrive in the heat of summer when few other flowers are blooming - perfect for brightening up a mid-summer garden. 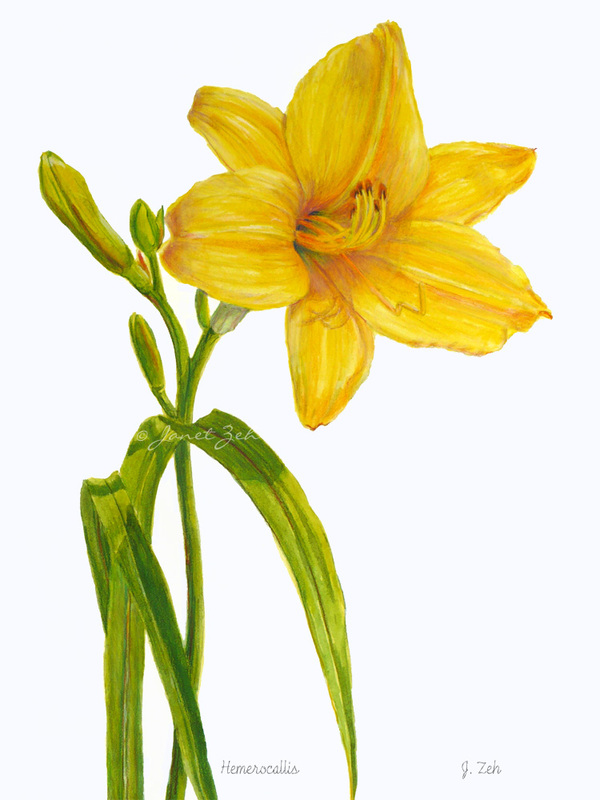 Yellow Daylily Botanical print comes in several sizes and print options. Click the Order Print button below for sizes, options and prices. This is also available as an original painting in watercolor, size 15x11 inches - $295.